27 Days until the Barrie Colts Home Opener! (Cordell James) #OHL - Very Barrie Colts | A website covering the Barrie Colts of the OHL. 27 days until the start of the Barrie Colts 2017-18 regular season! Cordell James wore 27 with the Colts for about three and a half seasons. Drafted by the Colts 92nd overall at the 2012 OHL Priority Selection Draft, he would make his debut with Barrie in the 2013-14 season. That year, James scored 5 assists and added 8 assists while finishing the season off a +10. The following season he showed improvement but the 2015-16 season would be when he was really starting to make strides. He was named an alternate captain that season and went on to score 19 goals, 25 assists for a total of 44 points. In the combined two seasons previous, he totaled 36 points. His next season would be his OA year and the Barrie Colts had named him team captain, replacing former captain Michael Webster. James scored 13 goals and 12 assists in in 36 games before he would get moved to the Owen Sound Attack right before the 2017 OA deadline. The Ponies picked up a 4th round pick at the 2018 Priority Selection draft. James went from a struggling Colts team to an Owen Sound team that was looking unstoppable. When joining the Attack, Owen Sound was early in a 15-game win streak that lasted until the end of January. Cordell would play 28 games with the Attack, scoring 13 goals and 12 assists. In 64 total games that year between Barrie and Owen Sound would get 34 goals and 23 assists for a total of 57 points which was the most of his career. 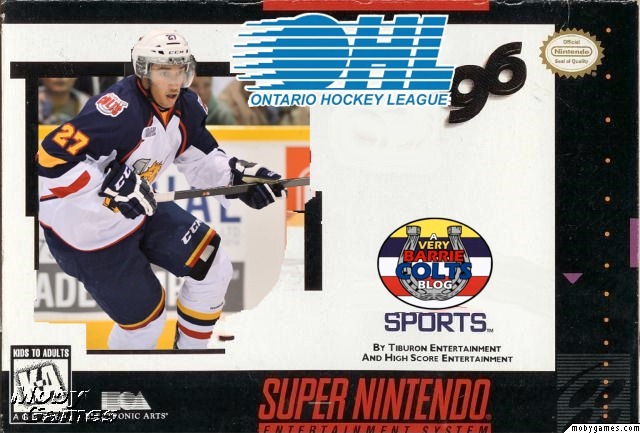 James played 262 total OHL games with 67 goals, 70 assists and 137 points. He was a +35 and totaled 103 penalty minutes. At the end of the year he was invited to the Arizona Coyotes training camp. Here was a nice moment when Cordell returned to Barrie for the first time following the trade. We did a Thank You, Cordell post from his trade from Barrie that can be seen here. The Barrie Colts home opener is Thursday, September 21st when the host the Ottawa 67's.